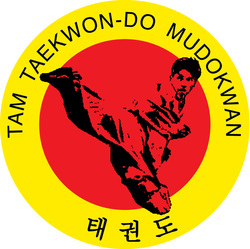 Tam Taekwon-Do Mudokwan is an internationally recognised ITF Taekwon-Do school that has been established in Sydney for more than two decades. Our school teaches the ITF style of Taekwon-Do. Classes are run for beginners (where no prior experience or fitness level is expected) all the way through to the higher levels of black belt. Master Tam Fook Chee, an 8th Dan Black Belt, International Instructor and ITF Overall World Champion is the chief instructor and examiner. Tam Taekwon-Do's classes are run by passsionate and dedicated instructors whom are all qualified. Training in Taekwon-Do has many benefits, especially when you train regularly. In this unique sport, you will quickly experience improvements in both yopur fitness and flexibility that in turn improves your overall feeling of well-being. Over time as your skill in Taekwon-Do improves, your confidence and self defence ability will grow. As well as the physical advantages of the sport, it nutures the physocological welfare too. The tenants and rules (Courtesy, Integrity, Perseverance, Self-Control and Idomitable Spirit) must go in hand with the phsycial and mental sides of the sport. This allows each individual, young and old, to achieve their personal goals in the sport. The most imperative factor when considering joining our closley knit school is that you have fun. Whilst having respect for the instructor and fellow students around. Our Taekwon-Do school is no doubt an ordinary martial art school, we hold several events throughout the year, allowing all members to make new friends through activities such as kayaking, camping, Christmas party and much more. The Taekwon-Do centres located around Sydney and Newcastle ensure the safety of your well-being. As a member, you are regarded as the upmost priority. The teams here at Tam Taekwon-Do Mudokwan welcomes you with open arms. Begin your Taekwon-Do journey with us.